Much more in the Canon dSLR Cameras Category of posts. 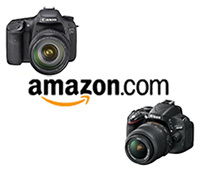 Either the Canon EOS Rebel T5i / 700D or the Nikon D5300. Either one will far exceed the needs of an enthusiast photographer in terms of image quality, low light performance, features, etc. Personally I like the controls, user interface, and response of the Canon much better, but you should go to a store and try each of them out.